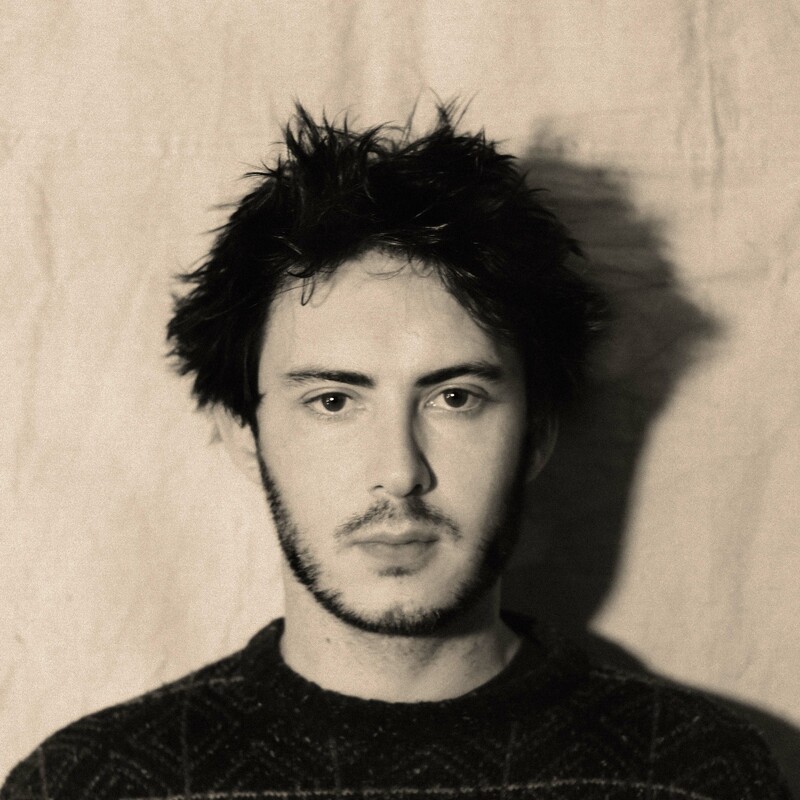 Earlier this week I had the amazing opportunity to speak to the one and only Dustin Tebbutt, Australian indie/folk artist who located to Sweden for two years to live, work, write and record. We spoke about his song-writing process, what music to listen to while cooking, what it’s like being a multi-talented artist while juggling a sold out tour and why he spontaneously relocated to Sweden. Hey Dustin! So how have you been today? [laughs] So how did you get into music? Really slowly. I kinda seeped in, a little bit. I used to not really be into it at all, I was pretty focused on sport and was really passionate about swimming and soccer. That’s kind of all I lived for when I was 14, like a lot of kids I guess. But we always had guitars lying around. My dad played guitar when I was growing up and we had a piano at home. I think just towards the end of high school I just started fiddling around at home. I don’t really remember, especially with guitar, it ever really being hard. I don’t remember not being able to play. I think I just started and it clicked pretty instantly and it just went from there. It was just there and waiting for me to discover it I think. Cool! So how did you develop your echoey, ethereal sound? Did it just come about, or did it go in a certain direction that you wanted to take it in? I think it was just a product of what I had been listening to, and when I started demoing these songs I had a very, very limited setup. Like I had a mac book and one really, really cheap mic. That was it and it was setup in my kitchen in this apartment in Stockholm and there was no room for recording stuff properly. The only way that I could really make that stuff sound good to my ears, or to start fleshing it out was to start layering the vocals, cause the room sounded really terrible [laughs]. I guess out of that came a spark that formed and a direction that became defined. Then when I got back [to Australia] I started recording the tracks properly and it kind of didn’t feel right without that stuff in there so I just kept going down that line. I read somewhere that you play a lot of the instruments in your own recordings. How does that work? Yeah, pretty much everything but the drums. [laughs] I wish I could play the drums, though now with computers and stuff you can do that. You can do one layer at a time, then go back and do the next layer. I guess the kind of music that I’m making involves of lots of little pieces combining to make a whole. Even if it’s a banjo part or a little glockenspiel or something, it doesn’t have to be the best glockenspiel part ever. It can be quite simple because they each just play a small role, so it’s kind of nice. It’s like making a quilt. Each little part has their own character and it doesn’t have to be perfect because when you put them all together you have something nicely textured. I like that description, it’s cute! [laughs] Is your song-writing process similar? Oh, It kinda changes depending on the track. I don’t think I have [a writing process] yet, I would like one. That would be handy [laughs]. I usually just come up with the guitar riffs or some chords and then I try and get a vibe from that. I think when you’ve got the guitar part it already creates a story – It creates a space and it creates a mood. Then it’s about trying to find a way to embellish that with words or a melody or something. It’s really just about trying to catch a spark somewhere. Sometimes when you’ve got the guitar you can play the simplest thing like E Minor and G, and your brain will be going, that’s E Minor and G. Then two days later you pick up the guitar and play the exact same thing and it just sounds different. It doesn’t sound like E Minor and G, it still is, but your brain doesn’t think about it like that it. For whatever reason there’s something in there that stops your brain from thinking that it’s something you’ve heard before, and it sounds like something new. So I’m just trying to find those little things and capture them. Then you just go from there because that way you’ve got this freedom and you’ve started a journey, so when you play it, it doesn’t matter how it ends up. That’s how I kinda look at it. Then what are some of your influences and inspirations with songs? I listened to a lot of a guy called Slava Grigoryan when I was a kid. He plays Spanish-classical guitar. He’s Australian, but he did this CD called The Spirit of Spain and It’s just like, the best cooking music ever! [laughs] It’s so amazing, you should seriously put it on and cook some pasta! It will change your life! Obviously I listened to a lot of that when I was growing up and I think that’s where I picked up a lot of my approach to playing guitar. I don’t use a pick and I don’t really play chords that much, a lot of it’s picked with fingers and I think that was from learning that classical stuff early on. José Gonzáles has a similar approach and I listened to a lot of him when I was growing up too. Jeff Buckley was a big one vocally, he kind of made falsetto cool in a different way than the Bee Gees did, [laughs] I listened to a lot of him when I was growing up. After that when I got down to Melbourne and bought my first pair of really good headphones. I was studying Film Music at Uni down there and something changed in my brain. I stopped listening to the music and started listening to the sounds of things and the recordings and ever since then I guess most of my inspiration has not really been about music, but how it’s been about how it’s produced and the quality of it. There’s a woman called Laura Veirs who’s got like four or five albums now and I’ve listened to her stuff for like seven years or something and I just never get tired of it. The sounds in her music are just beautiful, so I think she’s probably one of the largest inspirations for me. I heard you moved to Sweden, why did you decide to move there? It just seems really random, was it planned or was it a sudden decision? It was. It was really sudden and it was really random. I remember telling my family, and they were like “oh, that’s pretty random, why are you going?”, and I didn’t really have a reason. I remember buying my plane ticket from the travel agent, and then going home and downloading google maps and looking at where Sweden was [laughs]. I knew I wasn’t sure which country it was at the time [laughs], and it wasn’t a place that had been on my list or had been romanticised or anything. I had a bit of a fascination with that part of the world, and the northern hemisphere. A few bands had come out of there like, Great Lake Swimmers, Bon Iver and Sigur Ros who were around and even Feist and Broken Social Scene. There was this very cool sound that seemed to be coming from the higher latitudes, and I was listening to a lot of that music so I was kind of falling in love with those stories. Then a friend of mine was a drummer in Melbourne and I was playing with him a lot at the time. He grew up in Stockholm and he was going back, so he kind of gave me an in over there, so I ended up going back shortly after he did. How did it compare to Australia? It’s so different in so many ways, but the same in so many ways too. I think the biggest difference is the weather there and that they have a winter. Cause where are you now? In Melbourne? Yeah, I’m in Sydney too and our winter gets to like twelve degrees. You could actually survive with a t-shirt and a pair of jeans all year if you wanted to. But up in Sweden it’s the opposite. There’s like three hours of daylight in winter and in summer there’s like twenty-three hours of daylight, so it’s a really big shift. I guess that changes how people live and it changes the way they relate to the physical world. Summer is a very, very precious time and everyone makes the most of it. The whole country pretty much just shuts down and everyone just goes to the beach [laughs]. So it’s kind of weird cause then in Winter it takes a bit of grit to get through it. Everyone becomes quite anti-social and it’s quite a harsh place to be. So there’s a few differences like that, but in a lot of ways it’s pretty similar, it’s the western culture and even though Swedish is the national language everyone speaks really fluent English. In that way there weren’t a lot of cultural barriers there, as opposed to going somewhere like India, or South East Asia or South America or something like that. It was relatively familiar. What was one of your most memorable experiences from that? Oooh, New Years Eve in Stockholm. I was hanging out with a few muso friends and we just had like a cards night and drank some scotch and went down to the edge of the island in Stockholm where the bay comes in. They had a few fireworks, it wasn’t quite like Sydney [laughs], but I just remember the ice that night because it had kind of frozen once, and then it had gotten warmer and had been broken up by a bunch of ships and then re-froze again. It was like a lake, but it was all jagged and rocky, well not rocky, but it looked kind of rocky cause all the massive pieces of ice had been turned on their side and the frozen in place. It was just the most surreal environment to be in. They were cracking and twisting, and just the sound of that, I’ll never forget it. It was amazing. It’s so easy to picture in my head, that would’ve been amazing! Oh! Congrats on your sold out tour! It’s kinda weird because it’s the first tour I’ve done so I don’t know what it’s like to have a tour that doesn’t sell out. Like I did a little solo thing last year, it was a very small, regional run. I did a tour with Boy and Bear last year as a support and that was sold out as well. It’s amazing and incredible and I guess for a lot of musicians shows are the highlights. You put so much work into all of this stuff – writing songs and producing tracks, rehearsing with the band, buying all the tables, and learning how to use all the pedals that go into it. All of that stuff, it’s a lot of work. Then you get this opportunity to share it with people and it can go either way. Even if you’re in an empty room and there are a few people there that aren’t really there to listen to your music and they’d prefer to be playing to pokies or watching the football, it’s not really why you did it. So I guess in the bigger sense that playing shows where there’s going to be people that want to hear what you do is a real privilege and an amazing feeling to be able to share your music those with people who want to connect with it. That’s the reason they’re there and it’s such a rare and lucky thing that you get to do. I haven’t done that many shows so for me it’s more about getting comfortable in that environment so I can really be present and not be thinking about the next chord change or what’s happening up at the back of the room. Making sure I can just be there, and be myself and really make the most of those opportunities. So how’s the tour going so far? It’s been good, we’ve been to Adelaide last week and there were a few big days, we did the red eye flights in the morning. So everyone was really, I don’t know [laughs], the band and crew we’ve got on the road at the moment are amazing and they’re all such great guys. Everyone’s so patient and cool and chilled, but there were a few periods of quiet driving [laughs]. Everyone was just so exhausted and didn’t have the energy to do anything, but it’s been a lot of fun so far! We’re off again on Wednesday, so I’ve got a few days to catch up on some admin stuff and all of that. Fix a few cables and then we’re back on the road so that’ll be fun! Awesome. I’m sure everyone’s looking forward to seeing you on tour! Since we spoke with Dustin his Brisbane show has been sold out so unfortunately, unless you have tickets can’t go and see him live. Although keep an eye on his Facebook page for updates, because for those of you living in Sydney he will be playing a short acoustic set at HUM MUSIC on King St in Newtown this Thursday May 22 between 6-7PM! Both The Breach EP and Bones EP are up on iTunes and Spotify available to download/listen to, or you can get them from his website at http://dustintebbutt.com, where physical CD’s and vinyl copies are available to buy!